Veteran film director Vijaya Bapineedu, 82, died on Monday at his residence, in Banjara Hills. He had been diagnosed with Alzheimer’s and was receiving treatment from Apollo Hospital for the past four years. Born on September 22, 1936, in Chataparru, Eluru as Gutta Bapineedu Chowdary, the director played a big part in aiding Chiranjeevi reach stardom. The duo collaborated on about a dozen films and their combination made a major impact at the box office. Some of their notable works include Patnam Vachina Pativrathalu (1982), Maga Maharaju (1983), Khaidi No 786 (1988), and Gang Leader (1991). His films with late actor Sobhan Babu -- like Bharyamani (1984) and Maharaju (1985) -- and comedy hero Rajendra Prasad -- like Naku Pellam Kavali (1987), Donga Kollu (1998), Zoo Laka Taka (1989) and Valu Jada Tolu Beltu (1992) -- were lapped up by the urban audience. Having started his career as an editor of Bommarillu and Vijaya magazines, Bapineedu made his directorial debut with Dabbu Dabbu Dabbu (1981) and he went on to direct 22 films between 1981 and 1998. His production ventures include films like Yavvanam Katesindi (1976), Rambha Urvasi Menaka (1977) and Bommarillu (1978), among others. He is also credited with introducing young talents like directors Durga Nageswara Rao, G Rama Mohan Rao, Mouli, Vallabhaneni Janardhan; cameramen MV Raghu, Maheedhar, Sreenivasa Reddy; lyric writer Bhuvanachandra; and dialogue writer Kaasi Viswanath, to the industry. Recently, he was in the news for expressing his wish to direct Chiranjeevi again. Known as a man with no airs, he was admired by all sections of the film industry. Tributes and condolences are pouring in from all corners for the demise of Vijaya Bapineedu. Megastar Chiranjeevi expressed deep shock and grief at the demise of Vijaya Bapineedu. "I still cannot believe that (Vijaya) Bapineedu garu is no more. He was like a father, brother and mentor to me. Besides our professional relationship, our families are close to each other and he is like a member of my family. We worked in over half-a-dozen films together, since Patnam Vachina Pativrathalu (1982)," said Chiranjeevi. 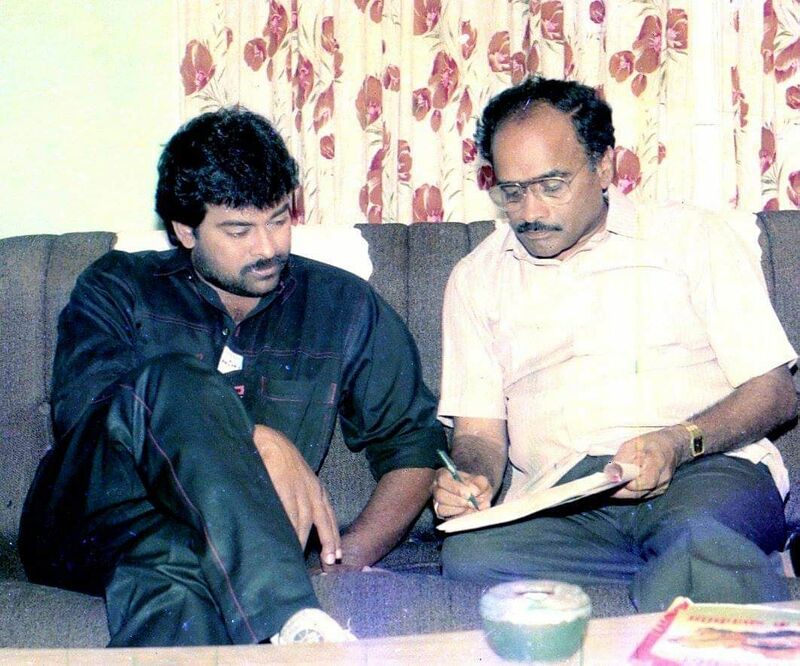 Terming Bapineedu's death a personal loss, Chiranjeevi added, "I would persuade him to work with other heroes, but he would insist that his comfort-level and bonding with me is way more than any of them. After I moved to Hyderabad (from Chennai), Bapineedu garu offered me accommodation in his guest house and allocated two floors to our family. He is going to be missed, badly." The Chief Ministers of the Telugu States, Nara Chandrababu Naidu and Kalvakuntla Chandrashekhar Rao, have conveyed their condolences. They said Bapineedu left a legacy with his films and his death has created a vacuum in the Telugu film industry. Vijaya Bapineedu's last rites will be performed at Mahaprasthanam, Hyderabad on February 14 since his elder daughter is yet to arrive from the US.